Kyle Reese has been sent back in time by the resistance army, in order to stop the Terminator, mankind’s deadliest threat. In the future he is a friend of John Connor, a key member of the resistance. He comes back in time to protect John’s mother, Sarah. Kyle Reese: The Terminator’s an infiltration unit, part man, part machine. Underneath, it’s a hyper-alloy combat chassis – micro processor-controlled, fully armored. Very tough. But outside, it’s living human tissue – flesh, skin, hair, blood, grown for the cyborgs…The 600 series had rubber skin. We spotted them easy. But these are new, they look human. Sweat, bad breath, everything. Very hard to spot. I had to wait till he moved on you before I could zero him. Sarah Connor: Look, I am not stupid, you know. They cannot make things like that yet! Sarah Connor: [not believing] Are you saying it’s from the future? Kyle Reese: One possible future. From your point of view. I don’t know tech stuff. Sarah Connor: Then you’re from the future too – is that right? Kyle Reese: Cyborgs don’t feel pain. I do. Don’t do that again. 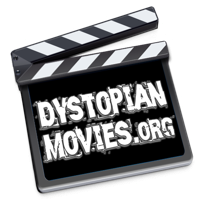 Kyle Reese: Listen, and understand! That Terminator is out there! It can’t be bargained with. It can’t be reasoned with. It doesn’t feel pity, or remorse, or fear. And it absolutely will not stop, ever, until you are dead. Kyle Reese: John Connor gave me a picture of you once. I didn’t know why at the time. It was very old – torn, faded. You were young like you are now. You seemed just a little sad. I used to always wonder what you were thinking at that moment. I memorized every line, every curve. I came across time for you Sarah. I love you; I always have. Kyle Reese: All right, listen. 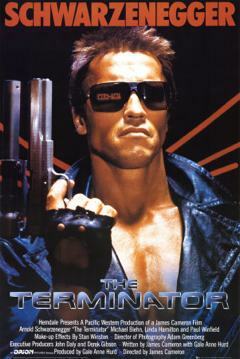 The Terminator’s an infiltration unit: part man, part machine. Underneath, it’s a hyper-alloy combat chassis, microprocessor-controlled. Fully armored; very tough. But outside, it’s living human tissue: flesh, skin, hair, blood – grown for the cyborgs. Kyle Reese: Thank you, Sarah, for your courage through the dark years. I can’t help you with what you must soon face, except to say that the future is not set. You must be stronger than you imagine you can be. You must survive, or I will never exist.